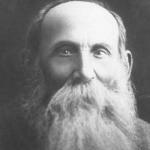 Aaron David Gordon (אהרן דוד גורדון‎; 9 June 1856 – 22 February 1922), more commonly known as A. D. Gordon, was a Zionist ideologue and the spiritual force behind practical Zionism and Labor Zionism. 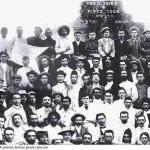 He founded Hapoel Hatzair, a movement that set the tone for the Zionist movement for many years to come. Influenced by Leo Tolstoy and others, it is said that in effect he made a religion of labor. However, he himself wrote in 1920, "Surely in our day it is possible to live without religion."